Join us Sunday night January 20th and Monday morning January 21st to honor Dr. King’s vision to organize poor folk in united action for racial and economic justice. On the eve of the Martin Luther King Holiday, Jerry Burton – DHOL member who was recently forced back onto the streets by no fault of his own – will be hosting all who want to survive on the streets as he does every night. All who want to stay the night are invited – whether you are a housie who wants to experience what it is like sleep on the streets, or someone living on the streets who wants to stay with us in community this night. You can also just come by in the evening or morning to join in solidarity and community. If you have your own tent, sleeping bag, tarp that you want to use bring those. If you do not have your own sleeping gear and need some to sleep we will have some gear there but not enough for all. Anyone living on the streets will have first dibs on using this gear. If you have the resources to buy gear to use yourself or donate to others in need that is rad! 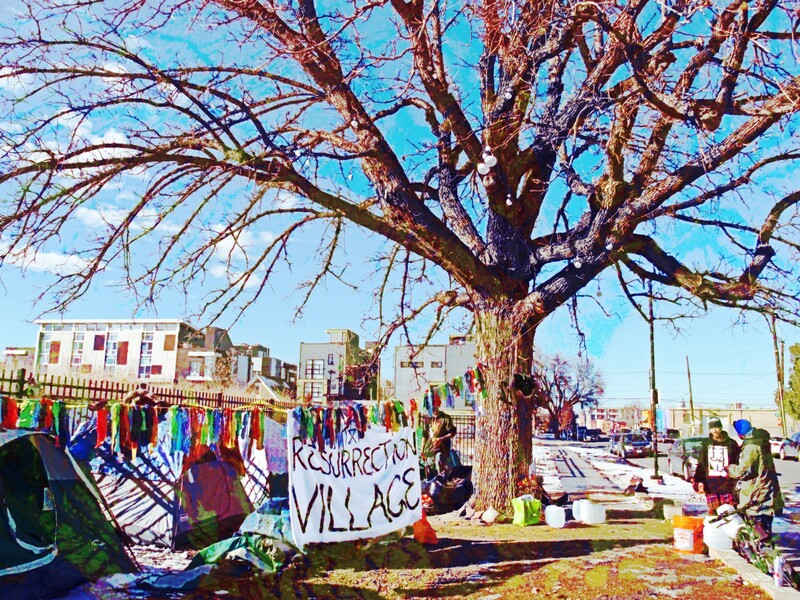 This night of survival and solidarity is organized Occupy Denver and various individual community members, it is supported by us at Denver Homeless Out Loud, and hosted by DHOL member Jerry Burton at the spot he and others survived holding down Resurrection Village in Denver for over a year in 2016/17. Together we all bring our strengths and collective power to continue this campaign for poor people’s economic and human rights. Dr. King’s vision remains critical to our city today as it was 40 years ago. For more info on Resurrection City of 1968 see here.